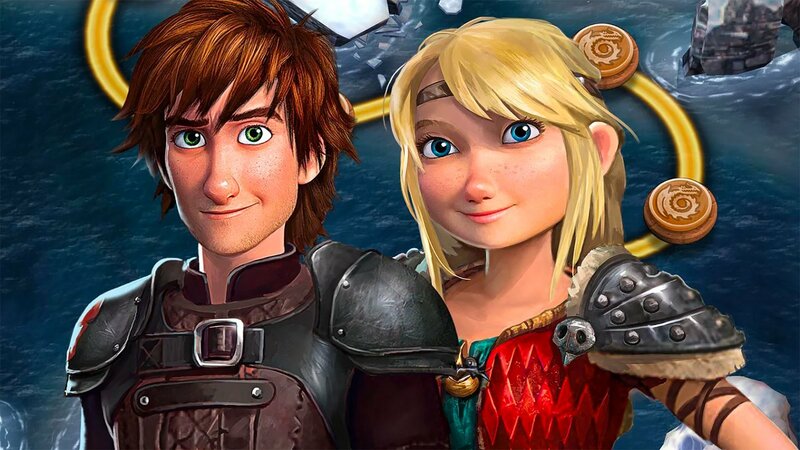 Save Berk in this match-three puzzle game based on the How to Train Your Dragon franchise. The latest film in the How to Train Your Dragon series, The Hidden World, will hit U.S. theaters February 22. To tide fans over until then, Dragons: Titan Uprising, a free-to-play mobile puzzle game, is available to download now on iOS and Android devices. In Dragons: Titan Uprising, players join Hiccup and Toothless on their quest to save Berk from the evil Dragonroot Company. Players can complete over 750 match-three puzzle battles by swapping the locations of colorful gems to create matches of three-or-more gems of the same color. Each color corresponds to a dragon on the player’s team, as well as the enemy dragons players are competing against. Each color has a specific strength and weakness when compared to the other colors, like in a game of rock, paper, scissors. For instance, red dragons are strongest against green dragons, and weakest against blue ones. While every dragon can attack any other dragon, regardless of color, players can strategize and deal more damage by making matches with gems of the right colors based on the current enemies. In addition, the game becomes more complicated by the positioning of the enemy dragons at the top of the screen. For instance, if a dragon is at the far right side of the screen, making matches on the left side of the board likely won’t hurt them. Matches need to line up with the enemy dragon locations so that attacks will actually hit them. Finally, each dragon has a special power that can be charged during battle. Many of these powers are offensive, while others let players heal dragons that have taken damage. In between battles, players can recruit new dragons for their team, as well as power-up their existing dragons to make them stronger. Users can also build structures around their home island, which generate currency and other in-game items automatically over time, as well as breed dragons. One final thing to point out: Arena and Clans features are currently in the works, and will be added in the future. By their names, we expect these features to add multiplayer functionality to the game. Dragons: Titan Uprising is available to download for free on iOS and Android devices. The game is rated E for Everyone. It contains optional in-app purchases, which allow players to purchase premium currency that can be used, for one, to summon new dragons for their team. Check out the first 11 minutes of Dragons: Titan Uprising in our SuperParent First Look below to see if this one is the perfect game for your family.